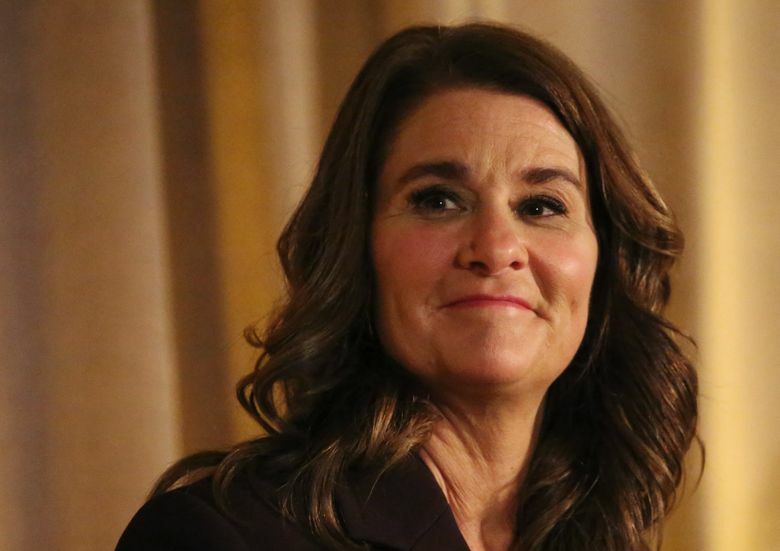 Seattle’s powerful philanthropist Melinda Gates is throwing her weight behind efforts to bring more women into computer science — and may offer funding for female entrepreneurs. Melinda Gates has some advice for tech workers flooding into Seattle for jobs at Amazon and other cutting-edge companies: Do your part to make the field more diverse. Gates, who made global access to birth control and women’s empowerment top priorities at the world’s richest foundation, is now launching a personal crusade to bring more women into computer science — the field where she got her start. Since unveiling the initiative last fall, Gates said she’s started zeroing in on areas where she hopes to make a difference. Those include changes to introductory computer- science courses so they’re more welcoming and interesting to women. Gates said she’s also considering her own venture- capital fund for female entrepreneurs. “Less than 5 percent of companies that get VC funding are led by women, and that’s a problem,” she said. Also, women often need more encouragement than men to put themselves forward for promotion, she pointed out. Gates is best known for her philanthropic work fighting disease and poverty across the developing world. But as she met with women in some of the world’s poorest nations and saw the discrimination and obstacles they face, she began to think about inequities that persist even in the United States. “It made me realize that there are issues we need to look at … and tech is one of the glaring ones to me,” she said. But the fraction of computer-science degrees awarded to women has actually fallen since the 1980s, from 37 percent to 18 percent, she said. Working through Pivotal Ventures, an independent office she recently created, Gates has been funding exploratory research into why girls and women drop out of tech programs. “I’ve learned that there’s a leaky pipeline that starts at kindergarten and goes all the way through university and through industry,” she said. Among the findings is that the initial college course in computer science is key, and needs to reflect the fact that female students often start with less experience and confidence than their male counterparts. Women are also more interested in real-world problems than in abstract mathematics. Gates hopes to identify effective educational approaches and help spread them to universities around the country. And, true to her tech roots, she also wants to gather more data on barriers and solutions. At the foundation, one of Gates’ top priorities is a push she launched in 2012 to make contraceptives more widely available in the developing world. Since then, 30 million additional women have gained access to birth control, but the initiative is not on pace to meet its goal of reaching 120 million women by 2020, Gates said. So she has been speaking out more widely than usual, with a spate of recent interviews and columns in National Geographic and Fortune. In the latter, Gates describes how contraceptives allowed her to decide when to focus on her education and career and when to have children. Women in the developing world want that power as well, but Gates said she underestimated some of the challenges. It’s still hard to ensure that local clinics are stocked with contraceptives, and in some places, husbands and religious leaders forbid women from using birth control. The Gates Foundation and its partners have helped sponsor schools for husbands in Niger, explaining how their wives will be healthier and their families more prosperous if they space and limit pregnancies. In several Muslim nations, networks of imams are spreading the word that Islam does not discourage the use of birth control. And a simple new contraceptive injection developed at Seattle nonprofit PATH is poised to make it easier for women to get shots from local health workers, or even administer the dose themselves, Gates said.